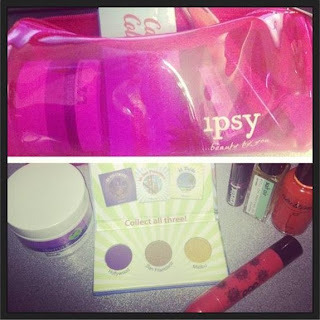 MamaBreak: Ipsy July Spoiler Sneak Peek! Anyone subscribe to Ipsy or thinking about it? 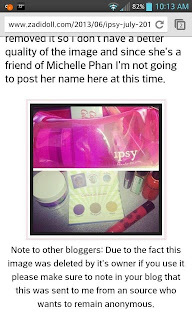 Want to know what will be in the July bag! Now you KNOW!!!! You can see the notes on the image and where it came from. It has been deleted from the original source, but we got our hands on it! All of that goodness for only $10!!! We cannot wait!!! Now, what do YOU spy in July's bag?